A fist slammed against the front door, startling Terri out of her zone. She glanced at the watch on her left wrist. An eyebrow shot up. Why would anyone knock on her door at eleven ten at night? She wasn’t the type of person who entertained visitors all hours of the night. Hell, except for her grandfather, cousin and Wayne, no one dropped by during the day. “I’m coming,” Terri called over the pounding on the door. The person had a lot of nerve rushing her. In fact, she didn’t know what was more irritating – his impatience, the late hour, or the fact that he interrupted her work. She slid off her stool and shuffled towards the door as fast as her stiff joints would let her. The visitor ceased the racket. The silence, however, did not pacify her. “What?” Terri yelled as she snatched opened the door. The worried line on Shane’s forward quickly faded. His eyes narrowed in exasperation and she immediately knew what he was going to say. She stepped aside and he strolled in, carrying a bag from The Swig, the bar and grill owned by his oldest brother. Rolling her eyes, Terri closed the door and secured the bolt. Terri’s mouth dropped open. Was he seriously lecturing her about what she calls him? Shane nodded and Terri’s cheeks grew warmer. She opened her mouth. As if he realized she was not going to following his direction, he held a finger. “No, Shane,” he repeated slowly. She shook her head. The man was impossible. He cocked an eyebrow. His eyes danced as the corners of his mouth turned up into an impish grin. Despite the stress from the past thirty-six hours, she slowly returned his smile. “I’d like to see those tapes,” Shane said. “And, I’d like to see a warrant,” Vince replied. “How about a piece of your hide?” Austin mumbled. “Austin, I think we’re done here,” Shane announced as he stood. Austin mumbled an expletive before he rose and stalked out the room. “I’ll be back with the warrants,” Shane said. Shane nodded before he walked out the room. “I’ll be back,” he mumbled to the receptionist as he strolled past of desk. Outside, Austin leaned against the car, his arms crossed over his chest. His frown said he was ready to go back inside and finish the thought Shane had interrupted. “Okay, let me have it,” Shane said. “Trust me, you’re going to have to get in line.” Shane nodded towards the mammoth charging across the street towards the building. If Shane was called to testify in a trial regarding the day’s events, he would swear under oath he saw steam shooting from Mark Butler’s nostrils. The man yanked the door so hard; Shane was surprised it had not come off the hinges. “We better get in there,” Shane said. Shane glanced up at the window. Vince frantically waved down at them. In the moonlight, the bare branches looked like bony limbs reaching over the gate for a victim. Determined not to be their latest catch, I sped by the cemetery, vowing never to drive by it at night, again. For years, I avoided the cemetery until a cousin raved about the beauty inside the gates. Curious, I decided to face my fear and venture into the cemetery. 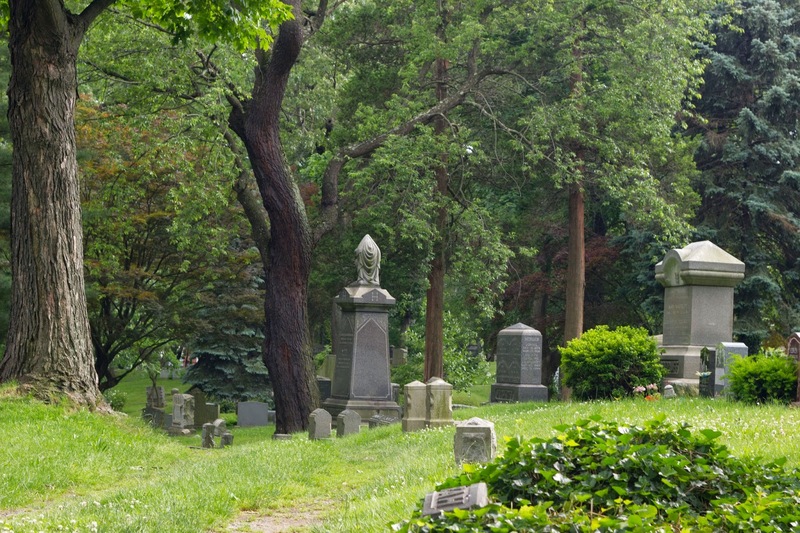 I spent several hours admiring the scenario, enjoying the tranquility surrounding me and learning the history of the cemetery. That day helped erase the fear I had of cemeteries. Now, I am able to appreciate the life that blooms around those who are have passed. 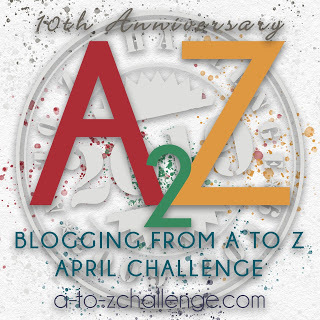 Though there were some days I found it difficult to think of a topic to blog about, I completed the Blogging from A to Z Challenge. I entered the challenge hoping this would inspire me to blog on a regular basis, 'cause what's the point on having a blog if I'm going to update it once a year. In the future, I know I'm not going to post everyday, but I do hope to stop by several times a week. I was going to add the link for "We Are The Champions," but I prefer this video by Queen.